Bourbon Parapente. Baptême et formation. The premises of BOURBON PARAPENTE CONCEPT are located at St Leu Northern roundabout, opposite the Surf Spot; 20m from the Indian Ocean. Our welcome kiosks are located in a shady 260 square meters garden. You will be offered a coffee on arrival and after your flight you will be able to enjoy a cool drink in the club house, while looking at the pictures of your first flight.. 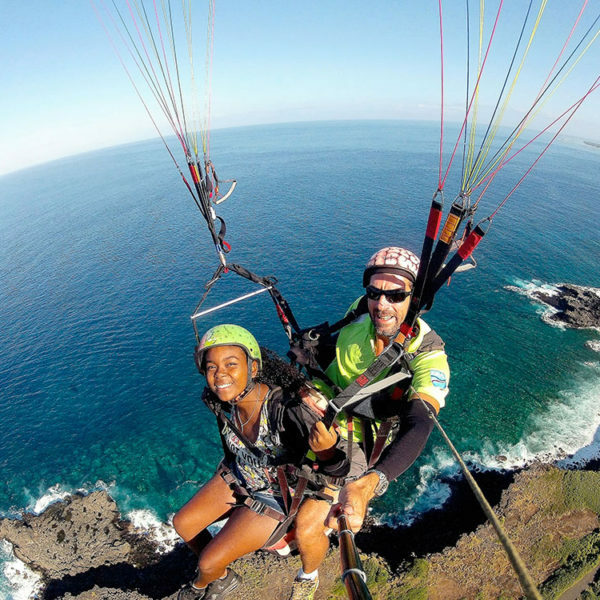 The company is “Réunion Qualité Tourisme” certified and has been awarded the 2010 French Free Flight award label and the 2010 Tandem award label. 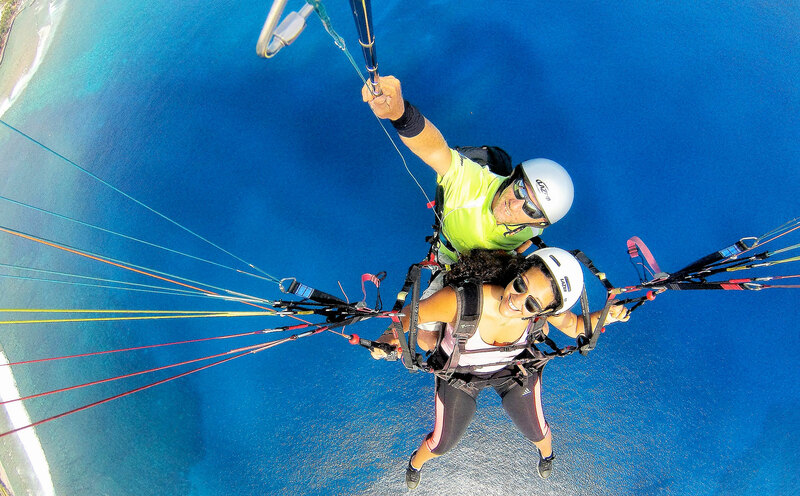 Our teams are on hand to help you discover paragliding, either for a training course, or for a tandem flight with a State qualified instructor. Our Gift Vouchers are customizable. Want a party, a birthday , an event in the person of your choice. 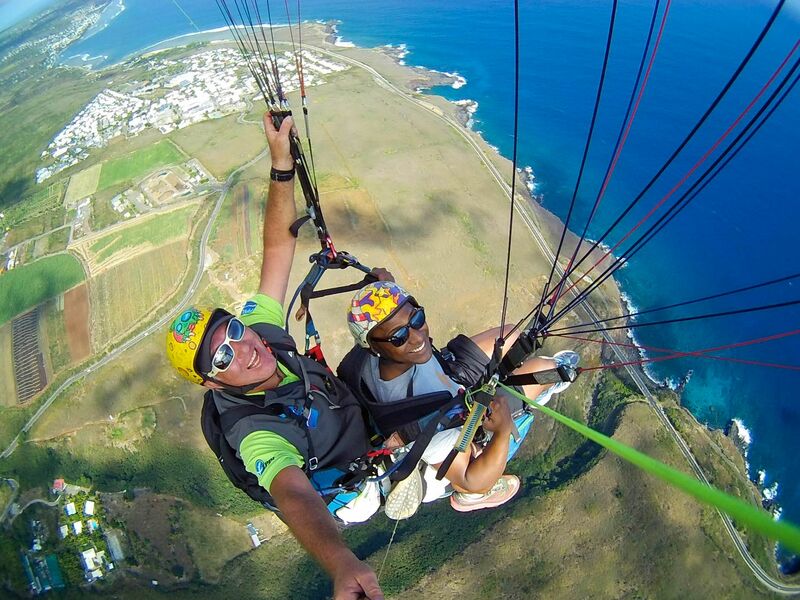 You want more information about paragliding ? Each monitor is equipped with micro camera and a boom. They will carry out a report for your paragliding flight which will be presented to our home after your flight . You can acquire them if you wish. © 2016 - Copyright Bourbon Parapente Concept all rights reserved.